The Poppins Bag is large enough to hold all your retreat needs or your quilt show finds. Choose your favorite fabric and showcase it on your new favorite bag! Intermediate to Advanced sewists only please. Please contact the store regarding supply list, there is homework! Machine with zig zag and heavy duty capabilities, extra needles. Thread to match. Pattern, stays, In R Foam, zippers and other supplies. All available at MQC and is eligible for class discount. Arlene is a fun, detailed instructor. You will enjoy her encouraging manner. 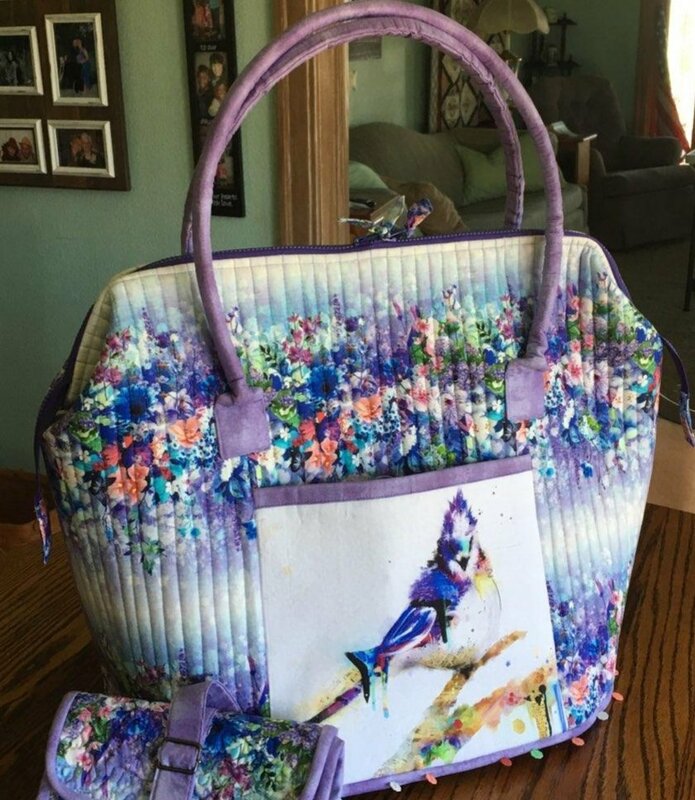 Arlene is a very talented quilter and seamstress.